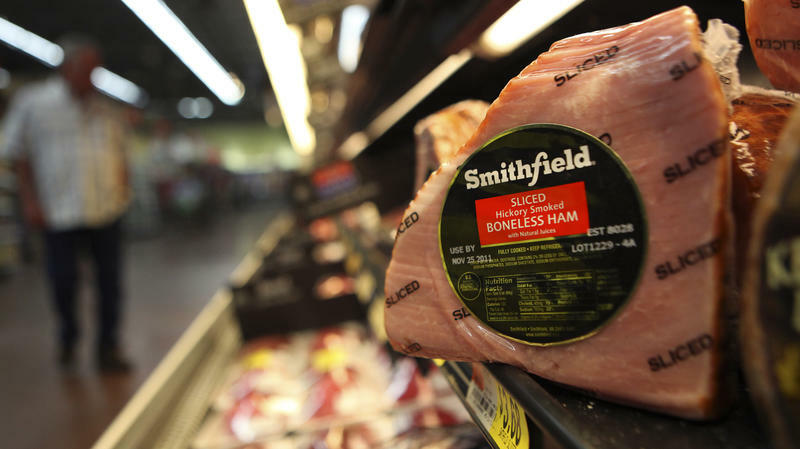 Smithfield Foods, makers of ham products under a variety of brand names, is being purchased by Chinese food maker Shuanghui International for $4.72 billion. 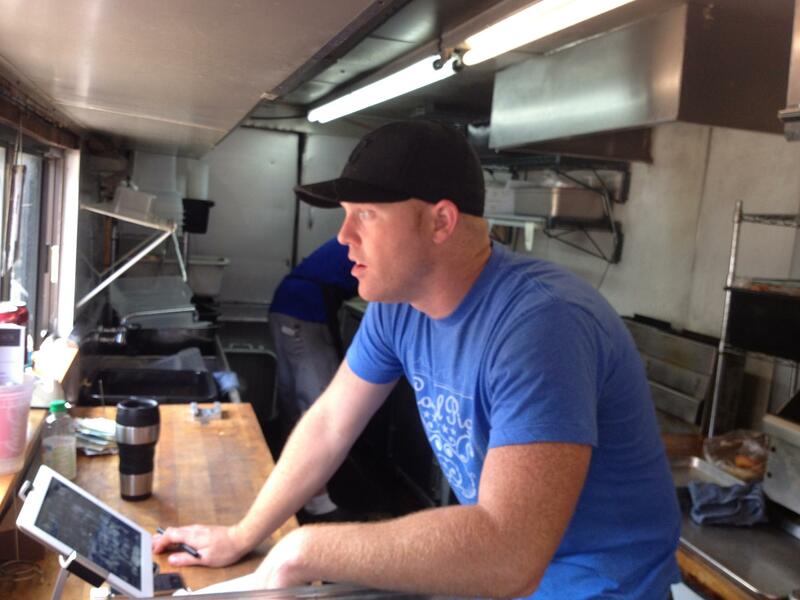 Alex Pope, owner of The Local Pig in Kansas City, Mo., says he hopes the deal serves as a wake-up call to consumers. It's being called the biggest such takeover of an American company by a Chinese firm. Already, Wall Street traders were bullish on the plan, sending the company's stock price up. Industry experts said it will increase exports to the burgeoning Chinese market. "This does have the potential to increase U.S. pork exports to China, which would benefit all U.S. pork producers," said Dave Warner, director of communications for the National Pork Producers Council. Dan Norcini, an independent commodities trader, said market reaction suggests the deal will be approved. But he had questions about the long-term impact on the pork industry. Shuanghui could ratchet up production to feed the growing demand for meat in China, Norcini said. "If the Chinese come to own Smithfield, will Smithfield be at the dictates of its Chinese owner? Or will they let market forces determine whether they are going to expand their herd size or not?" he said. "That's the big question because it could impact the rest of the industry." Larry Pope, Smithfield chief executive, said the deal won't change how the company does business. Its headquarters will remain in Smithfield, Va., he said, and there will be no changes to the 46,000-person workforce. "It will be business as usual — only better — at Smithfield," Pope said in a statement. "We do not anticipate any changes in how we do business operationally in the United States and throughout the world." The deal must still be approved by the Committee on Foreign Investment in the United States, a move that could be hindered by Shuanghui's involvement in a 2011 scandal that involved feeding a dangerous additive to pigs set for slaughter. Elizabeth Holmes, a staff attorney at the Center for Food Safety, says U.S. regulators should take a hard look at the deal. "They're supposed to identify and address any national security concerns that would arise," she said of the committee. "I can't imagine how something like public health or environmental pollution couldn't be potentially construed as a national security concern." Environmental groups were quick to criticize the deal, too, citing the growing globalization of vertically integrated or factory farming. Wenonah Hauter, executive director of Food & Water Watch, called it "birth of a cross-border bacon behemoth." "Merger mania in the meat industry in recent decades has led to more factory farms in the U.S., with 95 percent of hogs now raised in operations of over 2,000 animals," she said. "We may export the pork, but we keep millions of gallons of manure right here in U.S. hog-raising communities in North Carolina and Iowa." When the global news of the Smithfield sale bubbled up at The Local Pig, a small butcher shop in Kansas City, Mo., it was met with a shrug and another order straight from the meat case, wrapped up in white paper. The Local Pig is the antithesis of the huge Smithfield operations, where more than 16 million animals are slaughtered every year. Alex Pope, owner of The Local Pig, says he hopes consumers take the Smithfield news as a wake-up call and that they read the label on that package of Smithfield bacon. "That's the first step in saying, 'I don't want to be a part of that. I want an option. I would like to go to a small local producer, at a farmers market, or at a locally sourced butcher shop and buy that bacon,' " he said. "Ask them where it came from, where the pigs were raised and how they were treated. If it can spur something like that, it would be really great." If the Smithfield-Shuanghui deal doesn't go through, the company reportedly has two other suitors standing by. Bloomberg reported Wednesday that another Asian company and one from Brazil were preparing bids for Smithfield when the deal was announced. One of the biggest meat processors in China is buying one of the biggest pork producers in America. Smithfield Foods announced yesterday that it is being acquired by a Chinese firm for nearly $5 billion. The U.S. company insists it will continue with business as usual, but the sale could affect hog farmers and consumers, and it's not a done deal just yet, as Peggy Lowe of member station KCUR in Kansas City reports for today's Business Bottom Line. PEGGY LOWE, BYLINE: OK, I'm intentionally mixing metaphors here, but when Wall Street traders heard the news yesterday that Smithfield had sold to Hong Kong-based Shuanghui, they reacted, well, bullishly. DAN NORCINI: The trade was looking at this as positive, as bullish for U.S. pork exports, you know, down the road. At least that's the current thinking. LOWE: That's Dan Norcini, an independent commodities broker. Most people in the industry agreed with him on that simple forecast, that the sale will mean more U.S. pork for the growing Chinese demand. But Norcini says the big unknown is just how the new owners will run the company. NORCINI: If the Chinese come to own Smithfield, will Smithfield be at the dictates of its Chinese owner? 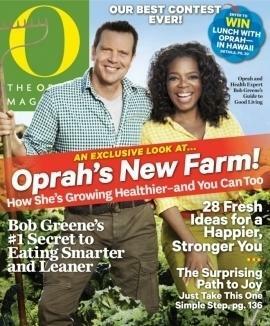 Or will they let market forces determine whether they're going to expand their herd size or not? I mean, that's a big question, because it could impact the rest of the industry. LOWE: That means if the Chinese ratchet up production, prices could go down for individual farmers, many of whom struggled last year feeding their animals corn made more expensive by the drought. But notice that other unknown. Norcini said: If the Chinese come to own Smithfield. The deal must still be approved by the U.S. government. And many wonder whether Shuanghui's previous troubles with food safety could complicate the deal. Two years ago, the company was involved in a scandal that included feeding its pigs an additive banned in the U.S. It's called Clenbuterol. It makes the hogs leaner, but can increase heart rates, tremors and headaches when the meat is consumed. Elizabeth Holmes of the Center for Food Safety says U.S. regulators should take a hard look at the deal. ELIZABETH HOLMES: If they're to identify and address any national security concerns that would arise, I can't imagine how something like public health or environmental pollution couldn't be potentially construed as a national security concern. UNIDENTIFIED WOMAN: Hi, how are you? UNIDENTIFIED MAN: We've got some really good pork chops and T-bones today. UNIDENTIFIED WOMAN: These are really good. LOWE: While the news of the Smithfield sale circled the globe, at a small butcher shop in Kansas City, it was met with, well, a shrug and another order straight from the meat case, wrapped up in white paper. The literally-named Local Pig is the antithesis of the huge vertically integrated Smithfield operation, where more than 16 million animals are slaughtered every year. The owner Alex Pope says he hopes consumers take the Smithfield news as a wake-up call, and seek out other options when buying their meat. ALEX POPE: You're hopefully going to look for Smithfield on the back of a label of bacon. So that's the first step in saying: I don't want to be a part of that. I want an option. I would like to go to a small local producer at a farmers market or at a locally sourced butcher shop and buy that bacon. Ask them where it came from. Ask them where the pigs were raised, and how they were treated. LOWE: At least one environmental group complains that the proposed sale would create a cross-country bacon behemoth, and says it may try to block it in court. But if the Shuanghui-Smithfield deal doesn't go through, Smithfield reportedly has two other suitors standing by. Bloomberg reports that another Asian company and one from Brazil were preparing takeover bids for Smithfield when the deal with Shuanghui announced. For NPR News, I'm Peggy Lowe. MONTAGNE: And that story came to us from Harvest Public Media, a Public Radio reporting collaboration that focuses on agriculture and food production. Transcript provided by NPR, Copyright NPR. NPR's business news begins with a meaty Chinese investment in the U.S. 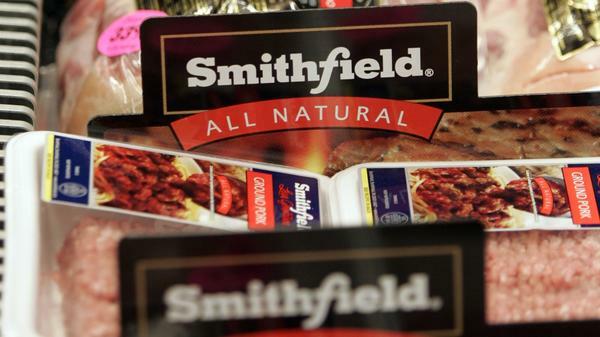 The makers of Smithfield Ham, an icon on America's culinary scene for decades, are selling the publicly traded company to China's Shuanghui International Holdings Limited for about $4.72 billion in cash. The deal also includes an exchange of debt. The purchase values Smithfield Foods at $7.1 billion — a figure that would make the purchase "the largest Chinese takeover of a U.S. company," according to Bloomberg News.